Contact today for expert advice! Since 2017, Vuta Electrical has attended to the electrical needs of businesses and homeowners alike in Bolivar Mo. With employees strong, we’ve built a workforce of highly experienced, certified electricians to serve those needs. 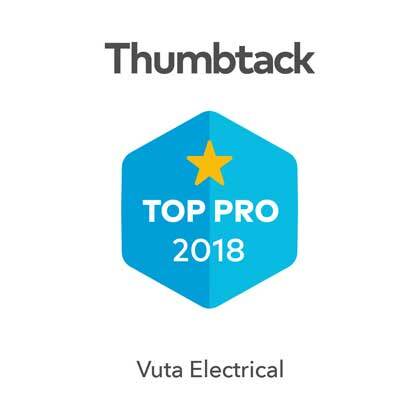 There are lots of electricians in Bolivar Mo, but Vuta Electrical goes the extra mile to treat our customers the way we would want to be treated: doing superior work for sensible prices. We are your Bolivar Mo electricians for residential, commercial and industrial electrical contracting service. As a licensed electrical contractor in the Bolivar Mo area, Vuta Electrical is an expert in a variety of electrical services offering you the very best in customer service and satisfaction. We are proud to be apart of the Bolivar Mo community and honored to be able to continue the wonderful relationships and friendships we have built over the many years. Please come back and visit this web page; we are in the process of up dating our Bolivar Mo Handy Guide. If you are looking for an electrician in Bolivar Mo, check us out. We are fully licensed electricians and offer a complete range of Electrical Services. Whether you need electrical troubleshooting or a complete house rewire, give us a call. We use an extensive range of entertainment appliances in our homes on daily basis. From TV cable to data cables, all the cables must be settled properly in the house, otherwise we’ll not get the best results even after paying fee for those services. In such a situation, you are required to install a dedicated circuitry to keep all these important systems operating effectively and efficiently. Our dedicated and experienced certified electricians have been serving in the field of electricity for the past several years. You can count on us for proper and safe installation of cable and other dedicated circuit installations without any leftover mess. So when it’s time to add additional circuits or new wiring, you want expert electricians who can get the job done effectively and efficiently, and at a reasonable price. At VUTA ELECTRICAL your needs come first, and we never shy from offering our best for your Data/TV/Telephone wiring project. We also install your networking Cat.5 or CAT.6 cables. With VUTA ELECTRICAL you’ll find all of that and much more! Ceiling fan will provide you with damp-free, fresh air, allowing you to leave your thermostat setting unchanged. During the winter months, an electric ceiling fan can keep the home warm by pushing hot air downwards. Electric ceiling fans with lights help to brighten up your home. Installation of a ceiling fan requires a good amount of electrical work. It is not an easy task for DIY or a newbie. So if you’re not a proper electrician, call us for a swift repair or installation of ceiling fan. Our seasoned technicians know all the safety regulations by heart and will not disrupt your daily routine in the slightest. Besides outgoing and polite attitude, our trained electricians are well-versed in the art of ceiling fan installation and will mount it in the most energy efficient way. The hanging of electric ceiling fan is a quite risky thing and our team takes all the possible precautions for the safety of all the people inside the property. Is it too hot to touch? Is your circuit breaker tripping? Can you hear hissing, popping or buzzing noises from the breakers, or you can see visible damage, such as frayed wires or burned metal, Chances are high; you’re in need of a circuit breaker replacement. It is not a good thing allowing a layman to replace a circuit breaker. Only a professional and licensed electrician can properly install a newer model or restore operation for efficient and safe use. Circuit breaker keeps your valuable appliances safe from sudden electricity spikes. Without circuit breakers, your heater, fan and other precious appliances could easily overheat, overload and even catch a fire. The experienced and trained electricians at VUTA ELECTRICAL have several years experience of replacing worn circuit breakers in Springfield, MO, USA. Your safety is our first priority. Our services are available 24/7. We have been in the business for several years and we know and understand the requirements of our customers. We are committed to providing superior electrical services for residential spaces, as well as commercial, construction and industrial businesses. The valuable advantages we can offer you are experienced workers, great service and high quality products, at a competitive price. excellent electrician--fast, efficient, and pleasant. Excellent electrician, very good and efficient. © 2019 VutaElectrical. All Rights Reserved.